Now booking for fetes, galas, shopping centres and all special events. 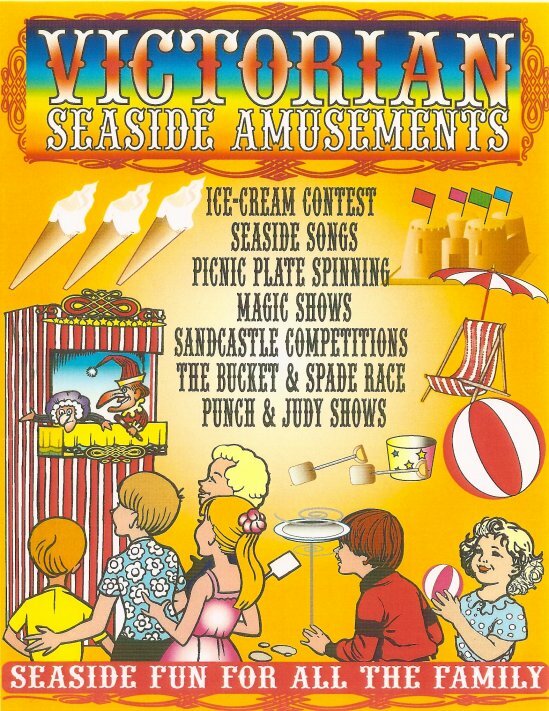 The Victorian Seaside Amusements are ideal for a full daily programme for your special events and comes completely self-contained. These amusements are available in two, two hour sessions throughout the day and when not operating we have the music of an olde tyme barrel organ with a selection of themed music to fill any gaps. All the fun of the Victorian seaside is here including the sand! Children can build sandcastles and the best will get a prize, there are family games such as the Bucket & Spade Race and the "Ice-Cream" contest. There are magic shows from an award winning member of the Inner Magic Circle plus traditional Punch & Judy shows. Introducing the Mini Wurlitzer Barrel Organ. 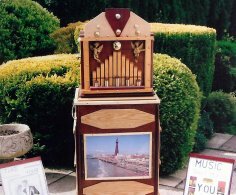 Playing music from The Tower Organ, Blackpool plus music and songs from bygone years. Ideal entertainment for fetes, galas and residential homes.